Join professionals from around the private aviation community for the 2016 NBAA-BACE (Business Aviation Conference & Exhibition). This year’s NBAA-BACE will be held November 1 – 3 at the Orange County Convention Center and Orlando Executive Airport in Orlando, Florida, and our team at Orlando Jet Charter can arrange for your private flight to land at (ORL) Orlando Executive Airport, conveniently located just 3 miles from the city’s business and financial center, and the site for static aircraft displays throughout the event. 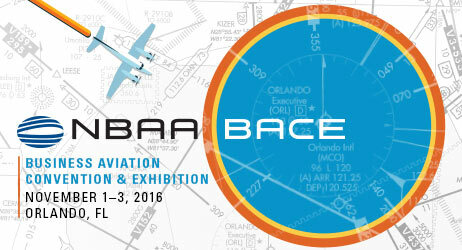 The NBAA-BACE is a showcase of aviation products and services, where prospective aircraft buyers are put in front of aircraft manufacturers, and industry leaders work together to plan for the coming year. At the event, current and prospective aircraft owners, operators, manufacturers, customers and other industry personnel can also network with aviation professionals from a wide range of industries and services, learning more about the opportunities and benefits of the private aviation community. Orlando Executive Airport offers 24 hour-a-day service out of two fixed base operators, and the executive airport’s central location means that NBAA members will find plenty of restaurants, hotels, shopping and other activities within a few miles of the airport. Our team can arrange to have ground transportation awaiting your arrival to bring you directly to the event, or the luxury hotel of your choice. Request a Quote or give us a call at 1-888-987-5387 to speak with one of our representatives to arrange your charter flight to the 2016 NBAA-BACE in Orlando, Florida!